Have you ever noticed how followers of Christ use a lot of familiar expressions in different ways? This was certainly the case with the words "new covenant." We repeat what Jesus said — "This cup is the new covenant" — every time we observe the Lord's Supper. And all over the world, local churches have names with the words "new covenant" in them. But if you ask most Christians, "What is the new covenant?" you get about as many answers as the number of people you ask. Sometimes differences like this don't matter much. But as we'll see in this lesson, the concept of the new covenant influenced New Testament authors so much that we may speak of their theology as "new covenant theology." And for this reason, we need to do all we can to understand what the new covenant is. This is the third lesson in our series Kingdom and Covenant in the New Testament. We've entitled this lesson, "The New Covenant." And in this lesson we'll explore how New Testament authors relied on the concept of the new covenant to shape some of their most significant theological perspectives. Our lesson will divide into two main parts. First, we'll see how the new covenant characterized God's kingdom administration. Second, we'll explore how the new covenant reveals certain dynamics of interaction between God and his people. Let's look first at God's kingdom administration through the new covenant. The Hebrew term we normally translate as "covenant" is "berith."  In the Septuagint, the Greek Old Testament, this Hebrew word is translated "diatheke." "Diatheke" also appears for "covenant" in the New Testament. Both berith and diatheke have connotations of "a solemn agreement or pact." In the Bible, we see covenants between peers. We also see covenants between kings and their citizens and between kings and other kings. And God covenanted with nations and people. In this lesson, we're particularly interested in God's covenants with people, especially his new covenant in Christ. It's important to know that one of the most significant breakthroughs in our understanding of God's biblical covenants took place in the second half of the twentieth century. At this time, many scholars began to compare biblical covenants with a group of ancient Near Eastern documents usually called "suzerain-vassal treaties." These documents were international treaties among nations in Old Testament times. In these treaties, suzerains, or great kings, administered their kingdoms through treaties with vassals, or lesser kings under their authority. As we'll see, the similarities between biblical covenants and these suzerain-vassal treaties make it clear that God's covenants in Scripture were his primary means for administering the affairs of his kingdom. We'll look at God's kingdom administration in three main ways. First, we'll note the significance of covenant representatives. Second, we'll see how God's covenants focused on appropriate policies for God's kingdom. And third, we'll point out how God administered his kingdom through the organic development of his covenant policies. Let's look first at God's covenant representatives. As we've already noted, ancient suzerains administered their kingdoms by making treaties with lesser kings or vassals. These vassal kings represented their nations and managed their kingdoms in submission to the suzerain. In a similar way, God administers his kingdom by making covenants through men whom he chose to represent his covenant people. To see what we mean, we'll see first how God chose covenant representatives in the Old Testament. And then we'll look at the new covenant. Let's begin with the Old Testament. It isn't difficult to see that God chose covenant representatives in Old Testament times. Genesis 1–3 and Hosea 6:7 both indicate that God made the first biblical covenant with Adam. Genesis 6:18 and Genesis 9:9-17 refer to God's covenant with Noah. And in Genesis 15–17, God made a covenant with Abraham. Exodus 19–24 indicate that God chose Moses as his covenant representative. And finally, passages like Psalms 89 and 132 refer to God's covenant with David. God dealt with each of these men differently as he made his covenants. But all of them represented others before God in the judgments of God's heavenly royal court. The covenants with Adam and Noah may be called "universal covenants" because Adam and Noah represented all human beings as God's covenant people. The covenants with Abraham, Moses and David may be described as "national covenants." In these covenants, these men represented the nation of Israel and the Gentiles adopted into Israel as covenant people. Keeping the covenant representatives of the Old Testament in mind, let's see how God administered the new covenant through a covenant representative. Christ is the mediator of a new covenant, that those who are called may receive the promised eternal inheritance (Hebrews 9:15). Similar teachings appear in passages like Romans 8:34 and 1 Timothy 2:5-6. The fact that Christ is God's chosen covenant representative for the church helps us understand one of the most important characteristics of New Testament theology. As many biblical interpreters have noted, New Testament theology is "Christocentric." In other words, every facet of New Testament theology is closely tied to the person and work of Christ. But why is this true? For instance, why does the New Testament teach that we must believe in Jesus for salvation? Why pray and show kindness in the name of Jesus? Why is the church called "the body of Christ"? The answer is clear. Christ plays this central role in New Testament theology because God administers every dimension of life in the new covenant through Christ as the representative of the church. To overlook this feature of New Testament theology is to miss one of its most crucial characteristics. Having seen that God administered his kingdom through covenant representatives, and specifically through Christ in the new covenant, we should turn to a second feature of God's kingdom administration: the appropriate policies that biblical covenants established for different periods of biblical history. All ancient Near Eastern suzerain-vassal treaties had elements in common, but they were also different in many ways. This was because each individual treaty addressed specific issues that were pertinent for each international relationship. In much the same way, all of God's covenants had much in common, but each covenant's policies were designed for specific issues that were important at different stages of biblical history. To see how the policies of God's covenants were appropriate for different historical stages, we'll look once again at Old Testament covenants, and then at the policies of the new covenant. Let's consider first Old Testament covenant policies. A cursory reading of the terms of Old Testament covenants reveals a focus on policies that were relevant for particular stages of God's kingdom. God's covenant with Adam may rightly be called the "covenant of foundations." It emphasized the goals of God's kingdom and the role of human beings in his kingdom before and after sin entered the world. After the flood, God made a covenant with Noah that we may call the "covenant of stability." This covenant focused on nature's stability as the secure environment within which sinful humanity could serve God's kingdom purposes. We may refer to Abraham's covenant as the "covenant of Israel's election." It focused on the privileges and responsibilities of Israel as God's chosen people. The covenant with Moses is often called the "covenant of law" because it focused on God's law as he unified the tribes of Israel into a nation. With this covenant, God led the people of Israel toward their promised homeland. And finally, we can regard David's covenant as the "covenant of kingship." This covenant established Israel as a bona fide kingdom and emphasized how David's royal dynasty was to lead Israel in kingdom service. When we consider the appropriate policies established by covenants in the Old Testament, it shouldn't surprise us to find that the new covenant also established kingdom policies that were appropriate for the new covenant age. The new covenant comes in the last period of biblical history — after God's covenants with Adam, Noah, Abraham, Moses and David. And for this reason, the new covenant may be described as the "covenant of fulfillment." As such, it established policies that were designed to reverse the failures of the past and complete or fulfill God's kingdom purposes in Christ. "The days are coming," declares the Lord, "when I will make a new covenant with the people of Israel and with the people of Judah" (Jeremiah 31:31). In the larger context of this verse, the phrase "The days are coming" refers to the time after the end of Israel's exile. As we saw in a previous lesson, the message of the Christian good news — or "gospel" — was that God's kingdom would reach its final, worldwide victory after Israel's exile had ended. So, from the first mention of the new covenant, we see its association with the victorious fulfillment of God's kingdom. This is the covenant I will make with the people of Israel after that time … I will put my law in their minds and write it on their hearts. I will be their God, and they will be my people. No longer will they teach their neighbor, or say to one another, "Know the Lord," because they will all know me, from the least of them to the greatest … For I will forgive their wickedness and will remember their sins no more (Jeremiah 31:33-34). Notice in this passage that the new covenant will bring God's kingdom to its ultimate end when "[God] will forgive [his people's] wickedness and will remember their sins no more." In this time of final, eternal blessings for God's people, "[He] will put [his] law in their minds and write it on their hearts." In fact, God promised to make this true for every person in the new covenant. As he put it, "they will all know me, from the least of them to the greatest." Now in passages like Deuteronomy 10:16 and Jeremiah 4:4, God frequently called the nation of Israel to move beyond their outward association with his covenants and to circumcise their hearts. In other words, they were to love him deeply by writing his law on their hearts. But in the policies of the new covenant age, God promised to intervene in such a way that this would be a reality for all of his covenant people. As we saw in our preceding lesson, Jesus taught that the new covenant age would unfold over time in three stages. First, its inauguration came with Christ's first advent. In this stage, Christ fulfilled many, but not all of the expectations of the new covenant. Then, in the continuation, the new covenant age will continue for an indefinite period of time through the history of the church. In this stage, Jesus fulfills many more, but still not all of the expectations of the new covenant. And finally, the new covenant age will reach its consummation at Christ's second advent when every expectation will be completely fulfilled. This threefold fulfillment of the new covenant helps us recognize a second basic characteristic of New Testament theology. Not only was it Christocentric. New Testament theology was also devoted to explaining the policies of the new covenant as it unfolded in these three stages. In effect, New Testament authors had to spend their time adjusting expectations for life in the new covenant. For instance, unlike the expectations created by Jeremiah 31, passages like Matthew 6:12 and 1 John 1:9 explain that followers of Christ still need to ask for forgiveness because they still violate the law of God. We also see in passages like 2 Corinthians 11:13 and Galatians 2:4 that false believers remain among true believers in the new covenant church. How were these and other factors affected by the unfolding of new covenant policies? In one way or another, every dimension of New Testament theology was devoted to answering this question. Now that we've seen how God administered his kingdom through covenant representatives and historically appropriate policies, we should explore the organic development of policies in biblical covenants. When we speak of covenant policies developing organically, we have in mind something like the growth of a tree. A tree changes as it grows from seed to full maturity, but it still remains the same organism. We can look at Old Testament covenants in much the same way. Each Old Testament covenant had different covenant representatives and focused on policies that were appropriate for a particular time in history. But like a tree, there was organic unity despite these changes. We'll look at the organic development of God's covenants, first in the Old Testament. Then we'll consider the organic development from the Old Testament to the new covenant. Let's begin with the Old Testament covenants. We can see the organic development of Old Testament covenants when we keep in mind how the policies of covenants continued in force throughout Old Testament history. For example, from the time of Adam, God established that the human race, as his image, would spread his kingdom throughout the earth. This policy developed over time, but it was never utterly discarded. From the time of Noah, God established the stability of nature as a secure place for God's fallen images to serve his kingdom purposes. This administrative policy changed in various ways with later covenants, but God never cast it aside. From the time of Abraham, Israel was given special privileges and responsibilities as God's chosen people. This special role in history developed with the addition of more covenants, but it never disappeared from God's kingdom administration. From the time of Moses, the Law served as the guide for Israel. This Law was to be applied differently as other covenants were added, but it was never nullified. And from the time of David, David's royal dynasty has led God's people in their kingdom service. Although this leadership changed with the new covenant and the kingship of Jesus, it was not set aside. The pattern of organic development that we see in the Old Testament continued with the new covenant in Christ. It too developed organically from earlier covenants. I will make a new covenant with the people of Israel and with the people of Judah (Jeremiah 31:31). All too often, Christians have taken the expression "new covenant" to mean that the new covenant is entirely new, disconnected from earlier covenants in the Bible. It's important to know, however, that the word "new" translates the Hebrew term chadash. Passages like Isaiah 61:4, Ezekiel 36:26 and Job 29:20 make it clear that this term, and its associated verbal forms, did not mean "utterly new." Rather, this family of terms meant "renewed," "renovated," "rebuilt," or "refreshed." This outlook is supported by the fact that God said the new covenant will be made "with the people of Israel and with the people of Judah." In other words, the new covenant is a renewed national covenant with the descendants of Abraham and the Gentiles adopted into his family after Israel's exile ended. Of course, like each Old Testament covenant before it, the new covenant established policies that were appropriate for its place in history. These new policies were revealed through Christ and through his apostles and prophets. But like each Old Testament covenant, the new covenant renewed, rebuilt, renovated or refreshed the policies that God had established in previous covenant administrations. These organic developments between Old Testament covenants and the new covenant provide us with a third crucial perspective on New Testament theology. In addition to being Christocentric and focused on policies that were appropriate for the threefold unfolding of Christ's kingdom, New Testament theology was based on Old Testament theology. At its core, New Testament theology was not a new faith. Instead, New Testament authors applied the teachings of the Old Testament in the light of God's revelation in Christ. This is why the New Testament is relatively small. It assumed the abiding validity of the Old Testament. This is also why New Testament authors appealed to the Old Testament hundreds of times to support their theological perspectives. So, when we say that New Testament theology is new covenant theology, we don't mean that it's somehow divorced from the Old Testament. On the contrary, every dimension of New Testament theology incorporates and builds on the theology of the Old Testament. So far in our lesson on the new covenant, we've explored God's kingdom administration. Now we should turn to our second major topic in this lesson: the dynamics of interaction between God and his people in the new covenant. New Testament authors described the interactions between God and his covenant people in countless ways. They referred to God's grace as well as his wrath. They demanded obedience and warned against disobedience. They described how God protects some from harm and how he calls others to suffer. These and many other direct and indirect references to interactions between God and his people raise some important questions. What theological outlooks undergirded this variety? How did New Testament authors make sense of it all? How did they approach the dynamics of divine and human interaction? Once again, we'll start with the backdrop of ancient Near Eastern suzerain-vassal treaties. In general terms, these treaties focused on three features of the interactions between greater and lesser kings. First, greater kings always claimed that they showed benevolence to their vassals. Second, greater kings also stipulated certain ways in which their vassals were to prove their loyalty. And third, greater kings spelled out the consequences of blessings and curses that vassals could expect for obedience and disobedience. Now, we need to say that greater kings always reserved the right to enforce the terms of their covenants as they saw fit. But in general, benevolence, loyalty and consequences formed the basic principles by which these treaty relationships were governed. And as we're about to see, the same elements appear in the dynamics of divine and human interactions in biblical covenants. We need to keep in mind that, as the supreme King, God was the one who determined how the dynamics of his covenants would come to fruition. And he did this according to his own incomparable wisdom, not according to the standards of human expectations. This is why the Scriptures explain that God's interactions with his people are often beyond human comprehension. But as passages like Deuteronomy 29:29, Isaiah 55:8-9, a number of Psalms, and whole books like Job and Ecclesiastes remind us, the ways God implemented these covenant dynamics were always good and wise. We'll explore the dynamics of interaction between God and people by first noting God's divine benevolence to his people. Second, we'll see how biblical covenants involved tests of loyalty for God's covenant people. And third, we'll address the consequences of blessings and curses for obedience and disobedience. Let's begin with divine benevolence. We'll look at the element of divine benevolence in both Old Testament covenants and in the new covenant. Let's consider first divine benevolence in Old Testament covenants. The Old Testament makes it abundantly clear that God's benevolence, or kindness, both initiated and sustained the relationships established by his covenants. To begin with, God showed divine benevolence to Adam as his covenant representative in the covenant of foundations. Before Adam's fall into sin, God granted kindness to Adam by creating the Garden of Eden and placing him there as God's image. And he also poured out saving grace on our first parents, Adam and Eve, after their fall into sin. Additionally, Adam represented all of humanity in the court of God. So, the kindnesses God showed to Adam were passed on to the covenant people he represented. In one way or another God continued to show common grace to all people, including unbelievers. And to true believers, like Abel, Seth and many others, God also showed saving grace. Throughout his lifetime, Noah also received divine benevolence — both common grace and saving grace — as God's covenant representative in the covenant of stability. And, just as in Adam's covenant, the kindnesses God showed Noah were also passed on to the covenant people Noah represented: all human beings. In a variety of ways, God showed all people his common grace. And to true believers, especially in the lineage of Shem, God also displayed saving grace. Abraham also experienced the divine benevolence of common and saving grace as God's covenant representative in the covenant of Israel's election. The kindnesses God showed Abraham were also shown to the covenant people he represented: Israelites, and Gentiles who would be adopted into Israel. As he saw fit, God displayed common grace to the people of this covenant, including unbelievers like Esau. But God also poured out his saving grace on faithful figures like Jacob, Joseph and many others. As the stories of Moses' life tell us, God showed the divine benevolence of common and saving grace in unique ways to Moses himself as the covenant representative of the covenant of law. And the kindnesses God showed to Moses were passed on to those he represented: the nation of Israel and those adopted into Israel. All Israelites benefited from God's common grace, even those who did not have saving faith. And God also showed his saving grace to many who were in Israel and adopted into Israel. Last of all, David received the divine benevolence of common and saving grace in special ways as God's chosen covenant representative in the covenant of kingship. And the kindnesses God showed to David were passed on to the covenant people he represented: his royal sons, the nation of Israel and all Gentiles adopted into Israel. According to God's inscrutable wisdom, they all experienced common grace, including unbelievers in Israel. But true believers in Israel also received God's saving grace. God's divine benevolence to his people through the Old Testament covenants set the stage for the ways God's benevolence influenced the dynamics of the new covenant as well. In the first place, the New Testament draws attention to God's benevolence toward Christ, the new covenant representative. We should be clear that, like Adam before the fall into sin, Jesus never needed mercy, forgiveness or saving grace from God. Even so, passages like Matthew 3:16-17; Matthew 12:18; and Luke 3:22 indicate that during the inauguration of his kingdom, the Father anointed Jesus with his Spirit to empower him in his service. In fact, according to Romans 8:11, it was by the power of the Holy Spirit that the Father raised Jesus from the dead. Moreover, according to Psalm 2:4-6; Matthew 28:18; and Acts 2:31-33, the Father's benevolence toward Jesus lifted him to his current position of authority and power during the continuation of his kingdom. And this kindness will lead to the privileges and glory Christ will receive at the consummation of his kingdom. In the second place, the New Testament also focuses on what Christian theologians often call "union with Christ." This teaching makes it clear that God's benevolence to Christ also impacts the church, the covenant people he represents. And you also were included in Christ when you heard the word of truth, the gospel of your salvation (Ephesians 1:13). If Christ is in you, your body is dead because of sin, yet your spirit is alive because of righteousness. And if the Spirit of him who raised Jesus from the dead is living in you, he … will also give life to your mortal bodies through his Spirit, who lives in you (Romans 8:10-11). As this passage indicates, although New Testament authors acknowledged that the church is identified with Christ in heaven, they also knew that the new covenant age had not yet reached its consummation. As a result, life in the new covenant now is different from what it will be when Christ returns. For instance, now God's new covenant people continue to sin. Moreover, false believers — those without saving faith — remain in the visible church alongside true believers. Only at the consummation will the work of Christ in us be completed. For this reason, the New Testament teaches that, prior to Christ's return, God shows common grace to all people in the visible church, including false believers. In fact, passages like John 15:1-6 and Hebrews 6:4-6 illustrate that although unbelievers often experience great temporary mercies from God, they don't receive saving grace. But at the same time, God has shown saving grace to true believers even now. It's no wonder, then, that every facet of New Testament theology is cast in terms of divine benevolence. For it is by grace you have been saved, through faith — and this is not from yourselves, it is the gift of God (Ephesians 2:8). Now that we've seen how the dynamics of interaction between God and people involves the display of divine benevolence, we should look at how life in covenant with God also entails tests of loyalty. These requirements of obedience reveal the condition of the hearts of those in covenant with God. We should mention here that in the twentieth century many scholars began to compare biblical covenants with another group of ancient Near Eastern texts, often called "royal grants." 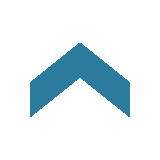 In these grants, a suzerain granted benefits to a vassal or a subject. Early research led many to conclude that there were no obligations or requirements, no tests of loyalty, for the one who received the grant. And, as a result, a number of biblical interpreters suggested that some biblical covenants did not require loyalty from God's people. But, more recent research has pointed in the opposite direction. We now know that even royal grants required loyal service from the recipients. So, we shouldn't be surprised when Scripture tells us that God tested the loyalty of his people in every biblical covenant, including the new covenant. When we say that God tests our loyalty as part of life in the new covenant, we need to avoid some serious misunderstandings. First, throughout the Bible, no sinner has ever earned salvation by good works. We'll never reach the perfection needed to receive God's eternal blessings by our own efforts. Secondly, every good work that we perform is made possible by the grace of God at work within us. We don't accomplish any good work apart from the mercy of God and the power of his Spirit. And thirdly, we still need to realize that God has always called his covenant people to obedience. In both the Old and New Testaments, God tested or proved the true condition of his peoples' hearts through their responses to his commands. To see what we mean, we'll summarize how tests of loyalty appear in Old Testament covenants. Then we'll look at tests of loyalty in the new covenant. Let's begin with the Old Testament. Everyone familiar with the Bible knows that God tested Adam as God's covenant representative through his directives in the Garden of Eden. And we also know that God called for the loyalty of his covenant people in Adam: the entire human race. Noah also was tested by God's directives as his covenant representative both before and after the flood. And the Scriptures indicate that God continued to test the hearts of his covenant people in Noah — again, the entire human race. Now I know that you fear God, because you have not withheld from me your son, your only son (Genesis 22:12). We can see in this passage why God commanded Abraham. He tested him to prove the true condition of his heart. In a similar way, the Scriptures teach that God tested the loyalty of his covenant people in Abraham: the people of Israel and Gentiles adopted into Israel. The Lord your God led you all the way in the desert these forty years, to humble you and to test you in order to know what was in your heart, whether or not you would keep his commands (Deuteronomy 8:2). In much the same way, the stories of David's life indicate that God tested David's loyalty as the royal covenant representative of Israel. And as the rest of the Old Testament illustrates repeatedly, God continued to test his covenant people, the sons of David and the nation of Israel, throughout their generations. Having mentioned God's tests of loyalty in Old Testament covenants, now let's explore the way God tests his people's loyalty in the new covenant. Now, as we've seen, God's grace has been poured out in the new covenant as never before in biblical history. Yet, it's also apparent that the New Testament has countless commands and directives from God. Why is this true? Well, just as in the Old Testament covenants, the new covenant also requires tests of loyalty. We have one who has been tempted in every way, just as we are — yet was without sin (Hebrews 4:15). Being found in appearance as a man, he humbled himself and became obedient to death — even death on a cross! (Philippians 2:8). In New Testament theology, the height of Jesus' loyal service to God was his voluntary death on the cross. But why was this act of obedience so significant? From the time sin entered the world, God made temporary provisions for the sins of his covenant people through the blood of animal sacrifices. But as Hebrews 10:1-14 teaches, these sacrifices were unable to secure the final, permanent forgiveness of God's victorious kingdom. And so, as Israel's exile approached, God revealed in Isaiah 53:1-12, that he required the voluntary death of the servant of the Lord, the Messiah, as atonement for the sins of his people. By his death, the royal covenant representative would bring God's people into the glories of his eternal victorious kingdom. Jesus fulfilled this role in the inauguration when he voluntarily submitted to death on the cross. We see this in passages like Matthew 8:17; Acts 8:32-33; Romans 6:10; and 1 Peter 2:22-25. By passing this test of loyalty as the new covenant representative, Jesus provided permanent atonement and eternal forgiveness to all who believe in him. In addition to Jesus' death on the cross, passages like Hebrews 8:1-2 also point out that Christ, as the son of David, serves obediently in heaven throughout the continuation of his kingdom. And 1 Corinthians 15:24 teaches that when Christ returns in glory at the consummation, he will hand the kingdom to God the Father as an act of humble service. Now, as much as New Testament theology emphasizes Christ's perfect loyalty as the new covenant representative, it also stresses that tests of loyalty are still in effect for the church, the people of the new covenant. Once again, it helps to understand tests of loyalty for the church in terms of the church's union with Christ. On the one side, the church is "in Christ" in the sense that we're identified with him before God in his heavenly court. And according to 1 Timothy 3:16, Christ was the one who passed the test of loyalty perfectly and was vindicated when the Holy Spirit raised him from the dead. For this reason, as passages like Romans 4:23-25 teach, this legal vindication of Christ in the court of heaven is imputed to all who have saving faith in him. In Christ, true believers are judged as those who have passed the test because Christ has passed the test on our behalf. This wondrous truth about Christ in God's heavenly court is the basis for the New Testament theological perspective that protestant theologians have called "sola fide," or justification by faith alone. Consider it pure joy, my brothers, whenever you face trials of many kinds, because you know that the testing of your faith develops perseverance (James 1:2-3). As this passage indicates, New Testament theology contains many commands from God as tests of loyalty to prove those who really belong to the body of true believers. Now that we've seen the dynamics of interaction in the new covenant in relation to God's divine benevolence and tests of loyalty, we should turn to a third element. Let's examine the consequences of blessings and curses for obedience and disobedience. We'll look at the consequences for obedience and disobedience in covenant with God along the lines of our earlier discussions. We'll briefly survey the Old Testament covenants and then turn to the new covenant. Let's first see the consequences of blessings and curses in the Old Testament covenants. Prior to the new covenant, the consequences of both blessings and curses were crucial dimensions of God's interactions with his covenant representatives, and with his covenant people as a whole. Now, as we've already mentioned, God often implemented the terms of his covenants in ways that were beyond human understanding. So, in Scripture God often hastened, increased, lessened, delayed and even cancelled the blessings and curses of his covenants at times in ways that were beyond human comprehension. But he always did so according to his perfect wisdom and goodness. In the covenant of foundations, God cursed Adam, his covenant representative, with suffering and death in response to his disobedience. But, we also see God's blessings to Adam. In Genesis 3:15, God promised humanity's victory over the seed of the serpent. And both this curse of death and hope of victory were passed on, as God saw fit, to the covenant people Adam represented, the human race. In the covenant of nature's stability, the covenant representative, Noah, received blessings for his faithful service. But he also continued to face curses, such as troubles in his family after the flood. Similar blessings and curses came to future generations of humanity, the covenant people Noah represented. In the covenant of Israel's election, Abraham also received the consequences of blessings and curses as God's covenant representative. These consequences were passed down to the covenant people of Israel and those adopted into Israel in subsequent generations. In a similar way, in the covenant of law, Moses received God's blessings and curses in his life as the covenant representative. Additionally, Moses' law spelled out many specific blessings and curses that would come to the covenant people of Israel and Gentiles adopted into Israel. In the covenant of kingship, David himself, as the covenant representative, received the consequences of blessings and curses as he was faithful and unfaithful. The same was true for the covenant people he represented, his royal descendants and the people of Israel and Gentiles adopted into Israel. We've touched briefly on the consequences of blessings and curses in Old Testament covenants. These set the stage for what New Testament authors taught about the consequences of obedience and disobedience associated with the new covenant in Christ. New Testament theology emphasizes that Christ, as the representative of the new covenant, experienced both God's curses and God's blessings. As Paul pointed out in Galatians 3:13, Jesus endured the curse of God for the sins of all who believe in him as he suffered death on the cross. Now, Jesus didn't come under God's curses because of his own personal failures. He had no personal sins. But in fulfillment of Isaiah 53:1-12, he bore the judgment of God as an innocent royal substitute for the people of God in every age. By contrast, however, because of his own personal righteousness, Christ also received God's blessings. Jesus is the only human being who served God perfectly and deserved the reward of God's eternal blessings. [Christ] became obedient to death — even death on a cross! Therefore God exalted him to the highest place and gave him the name that is above every name (Philippians 2:8-9). In New Testament theology, Jesus' resurrection and ascension at the inauguration of the kingdom were the just reward for his perfect obedience to God. Jesus enjoys the blessing of God throughout the continuation of his kingdom as he reigns over all of creation at the right hand of the Father. And he will be blessed even more at the consummation of his kingdom when he receives his eternal inheritance of ruling over the new creation. Now, as much as New Testament theology praises Jesus for gaining the blessing of ruling over all creation, we know that the consequences of the new covenant also impact the church, the people of the new covenant. Once again, the New Testament doctrine of union with Christ points out two sides of this reality. On the one side, because we are "in Christ," every eternal blessing of God has already been assigned to true believers. True believers can rest confidently in the fact that they will never experience the eternal curse of God. Their eternal blessings are secure because Christ is their covenant representative. Praise be to the God and Father of our Lord Jesus Christ, who has blessed us in the heavenly realms with every spiritual blessing in Christ (Ephesians 1:3). Because we are identified with Christ in heaven, true believers have already received "every spiritual blessing." Just as Christ bore the eternal curses of God on our behalf, he also received the reward of eternal blessings from the Father on our behalf. On the other side, however, our union with Christ means that Christ is in us. That is to say, he is at work in true believers so that they experience the consequences of obedience and disobedience in their daily lives. Now, once again, we must remember that until Christ returns in glory, the visible church consists of both false believers and true believers. And New Testament theology explains how the consequences of blessings and curses, in this life and in eternity, apply to both of these groups. Passages like Luke 12:45-46 and Romans 2:4-5 explain that, as false believers continue to rebel against God, the blessings they receive in this life increase God's eternal curses against them at the final judgment. And the hardships and curses they endure in this life are but foretastes of the eternal curses they will receive when Christ returns. To the thirsty I will give water without cost from the spring of the water of life. Those who are victorious will inherit all this, and I will be their God and they will be my children. But the cowardly, the unbelieving, the vile, the murderers, the sexually immoral, those who practice magic arts, the idolaters and all liars — they will be consigned to the fiery lake of burning sulfur (Revelation 21:6-8). On that day, false believers in the new covenant church will be condemned to eternal judgment. But true believers will receive their eternal inheritance in the glorious new creation. 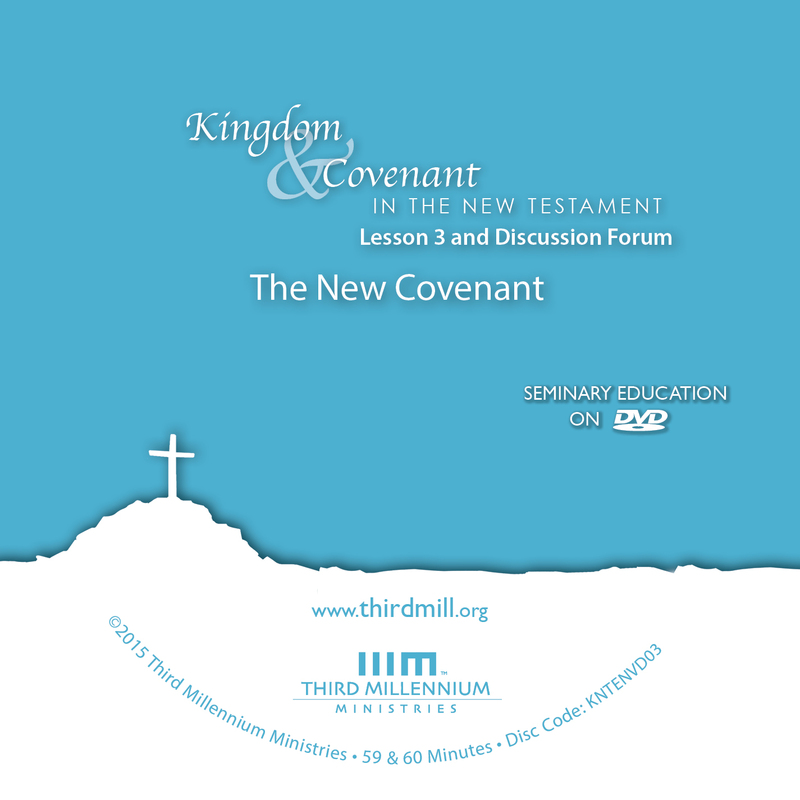 In this lesson on the new covenant in Christ, we've considered God's kingdom administration and seen how God administered his kingdom through his covenant representatives, and how he established appropriate policies as his covenants developed organically. We've also explored how the dynamics of interaction between God and his covenant people involved his divine benevolence, his tests of loyalty, and the consequences for obedience and disobedience. As we seek to understand the New Testament more fully, we must keep in mind that the new covenant in Christ wasn't just one small part of New Testament theology. As the last of God's covenants with his people, the new covenant deeply influenced everything New Testament authors wrote. God made a solemn pact with his people in Christ through the new covenant. And the more we understand about this new covenant, the better we will be able to see the most important features of New Testament theology.